the safety of the children. the ability to maintain the welfare of the children. the capabilities of both the parents and/or grandparents to meet the needs of the children. the level of closeness of the relationship between the grandchildren and their grandparents. how long have the grandparents maintained a relationship with the grandchildren. have the children been neglected or abused by their parents and/or grandparents. are there substance abuse issues in the grandparents’ home or the parents’ home. the ability of the children to adjust to a new home or school situation. the ability of the both the parents and the grandparents to provide care, love, affection and nurturing of the children. how far apart do the parents and grandparents live. is one or both of the parents deceased. is one of the parents in the hospital and the other parent unavailable. is one of the parents in jail and the other parent incapable of caring for the children. the desires of the children to live with either the parents or grandparents. (Greater weight is given to this factor when the children are older). For grandparents to obtain visitation or custody in New York State, they must clearly show it is in the children’s best interests they receive either visitation or custody. 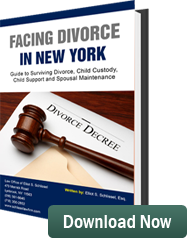 In addition, if the grandparents are seeking custody in New York, they must show how this will affect the relationship, if one exists, between the children and their parents. Grandparents’ rights are hotly contested issues in the courts of New York. If you are a grandparent and you seek custody or visitation of your grandchildren, the best way to ensure the greatest potential for success is to hire an experienced, dedicated grandparents’ rights lawyers.